We remember with immense sadness the passing of two amazing young people – a great loss their families, our club and community. 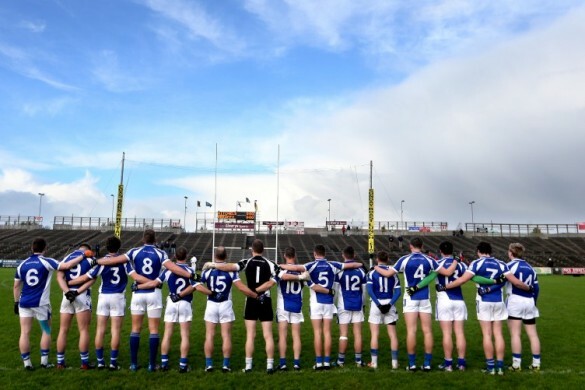 Breaffy GAA extend sympathies to their families and friends. They will remain forever in our hearts. Rest in Peace David Gavin and Faye Lavin. Hard to believe we are almost at the end of October and another football year has almost past. We thank you all for your support and commitment to Breaffy GAA – and we look forward to doing it all again next year. 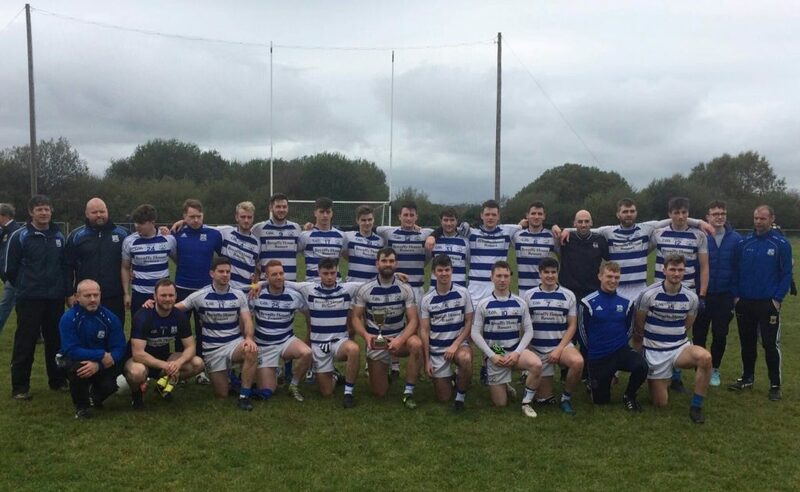 Congrats to our Senior team and Management on winning the Mayo Senior League Group 1A – We are extremely proud of these lads and hope that their success will continue in the coming years. They dedicated the cup to their team mate Gav #DG3. Breaffy GAA Under 8 and under 10 players finished the season with our annual Butler Cup Competition held in Ballyheane on Saturday 14th October. On the day we had a total of over 70 players who demonstrated a great display of their skills while competing for the U8 Shield and U10 Cup. Thanks to Breita Butler for her continued support of this competition. 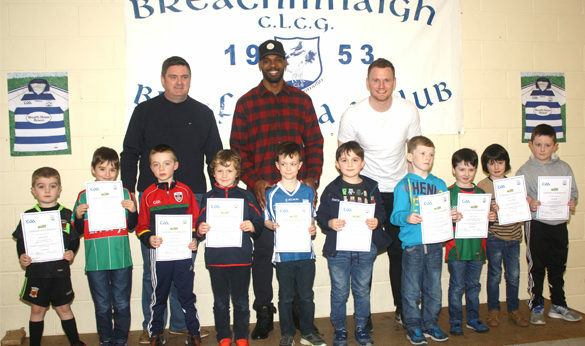 Some wonderful photos of the day are available on our Breaffy GAA Facebook page. Breaffy Bord na nOg would like to express their sincere thanks to the coaching teams across all levels for giving so generously of their time. 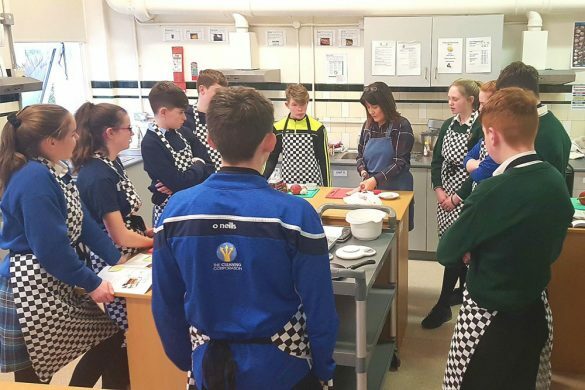 We have over 200 young people registered at Bord na nOg level. The coaches have ensured that the skills of our young players continue to develop in an environment where they can enjoy training, take part in games and are encouraged to express their football talents while having fun with their friends. Breaffy NS Boys’ team won the county final in June defeating a gallant Quay, Ballina Team in McHale Park. These boys have a bright future and undoubtedly some will go on to emulate their heroes and wear the green and red of Mayo. 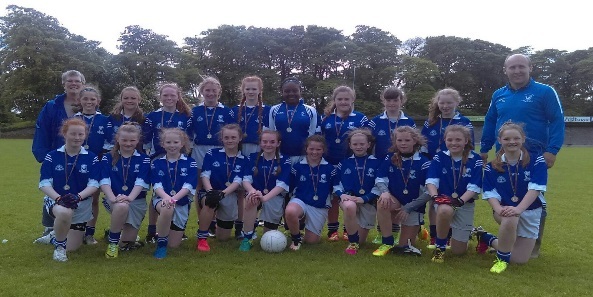 Breaffy national School Girls’ Team won the Castlebar area final in May beating an excellent Snugboro NS team in the final. Faye Lavin was a starring member of this team and she is truly missed by all who knew her. Many thanks to all the teachers who are involved in coaching in the schools. Bord na nOg awards night – Friday 10th November. Bord na nOg AGM – Wednesday 15th November. We will inform you of times etc. at a later stage. Breaffy under 14 team put in a trojan effort to overcome Knockmore in the under 14B Championship final held on 29th May in McHale park. A Great win by a fantastic bunch of young boys. 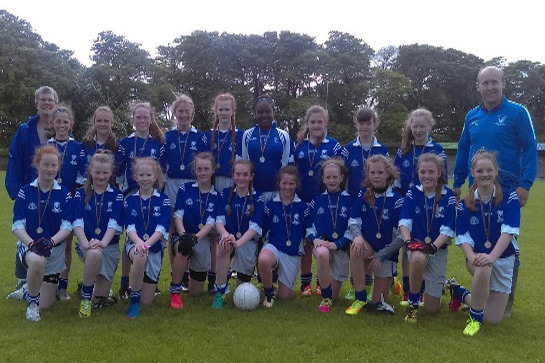 Breaffy GAA hosted an U12 Blitz on Sat June 3rd. There was close to 190 boys and girls involved on the day. We had 3 competitions involving 12 teams from clubs in London(Taras), Mayo (Achill, Breaffy, Castlebar Mitchels and Moy Davitts), Longford (St Vincents) and Roscommon (Eire Óg) We had a fantastic day of boys and girls football. Thank you to all who took part, attended and helped on the day. Super team work from all. If you would like to purchase Breaffy GAA gear as a gift – or as a treat to yourself 😊 go to the O’Neill’s Official Club Shop. Still some football left – Breaffy under 21s will take part in the upcoming Mayo Championship – we will keep you updated with games and times when fixtures have been set. Please donate all your clean unwanted clothes also bed linen, towels, curtains, paired shoes, bags and belts. Saturday 2nd Dec from 10am to 12md- other drop off dates/times will be posted nearer the date. We are in the process of producing a Club Calendar featuring boys and girls, men and women, from our youngest U6 players to our Senior League Winners. We are also delighted to include our rounders teams who had a very successful season. Breaffy GAA AGM will take place on Sunday 26th November at 5pm in Breaffy Clubhouse. Breaffy GAA Annual Dinner Dance will take place on Saturday 20th January in Breaffy House Hotel. We will have a prosecco reception, delicious meal and music by the Wavelength band. John Page Manager of Supervalu, Castlebar recently presented Breaffy Bord na nOg with 62 footballs which were awarded to Breaffy as part of their recent football promotion. Thanks to all the parents who supported this initiative by nominating Breaffy GAA during their shopping trips to Supervalu. The Kelly Cup Final was held on the 19th August 2017. 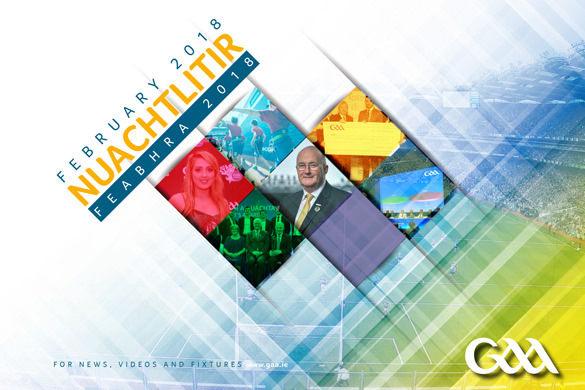 To commemorate the 40th anniversary of this competition and to remember Breaffy GAA’s Gerry and Peter Kelly a wonderful match programme was produced by Donal O Gallachóir – you can read this here. A final word to say thank you everyone – it was not an easy year but we supported each other through it all.